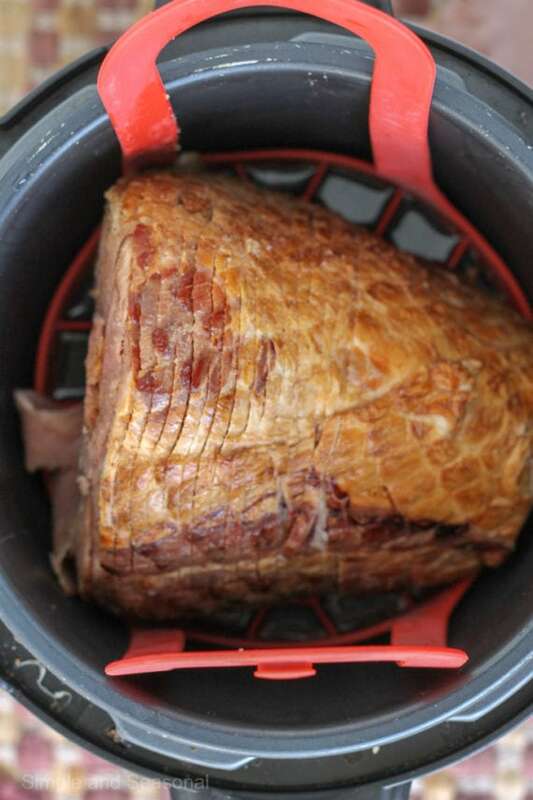 Save space in the oven by making Crockpot Express Ham. 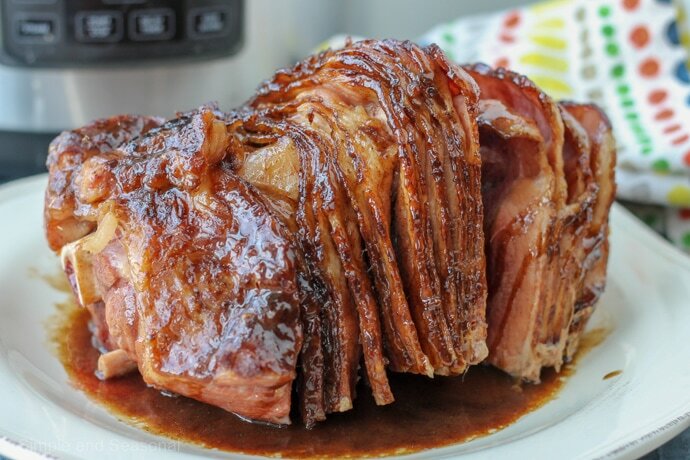 Add a delicious copycat HoneyBaked ham glaze for the perfect holiday dinner. Easter is right around the corner and I’m already seeing ham on sale at the grocery stores. 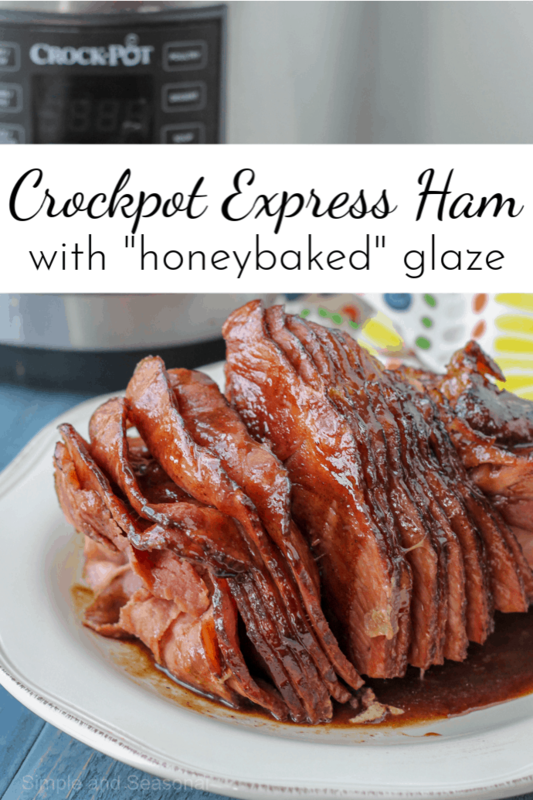 I decided to grab one this week to try making Crockpot Express Ham. Since most hams are already cooked through, you only need to warm up the meat when serving. 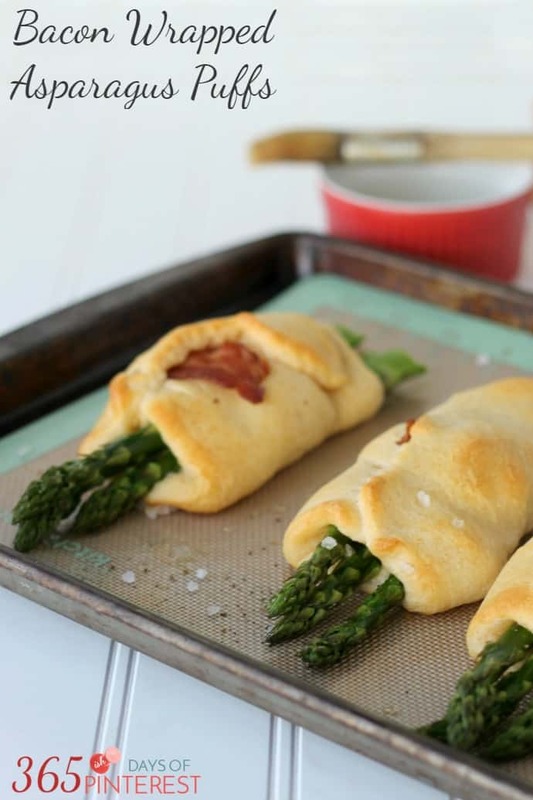 Doing this in your CPE is a great way to keep the oven free for other Easter dinner dishes! I started with a 10 pound, spiral cut ham. That was the smallest one I could find. I knew it would be way too big for my 6 quart Crockpot Express, so I cut it in half as evenly as I could. Then I put the flat side down on my trivet (I love this one with handles for large cuts of meat!) in the pot. I used the pot strictly for heating up the ham. The glaze comes later. You can do this same thing with an uncut ham as well. The way to keep the cook time short is to slice it first, but if you want to warm it up whole, you can do that as well. Just increase the cook time (probably to 20 minutes) to get it warmed all the way through and then slice it before serving. Trim the ham roast as needed to fit inside the inner pot. (I purchased a 10 pound ham and cut it in half.) Add 1 1/2 cups water to the pot. Place the trivet in the pot and put the ham on top. When the timer is done, do a quick release and set the ham aside on a broiling pan to be glazed. 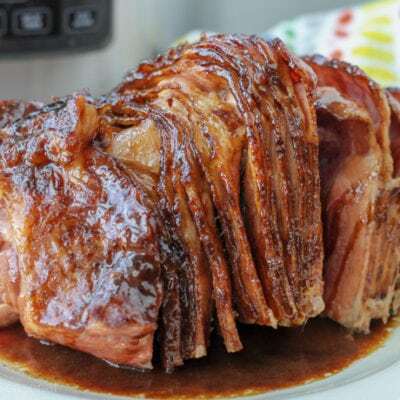 If the ham isn't sliced already, score it so the glaze will run down into the ham and get caught in little "puddles" on top of the ham roast. Place all the ingredients in a small saucepan and bring to a boil. Add more water as needed to get the consistency you want. Boil for 1 minute, stirring regularly. Pour the glaze over the cooked ham. Broil on High for 1-3 minutes until the glaze is bubbling and crackling. Watch carefully-sugar will burn quickly! 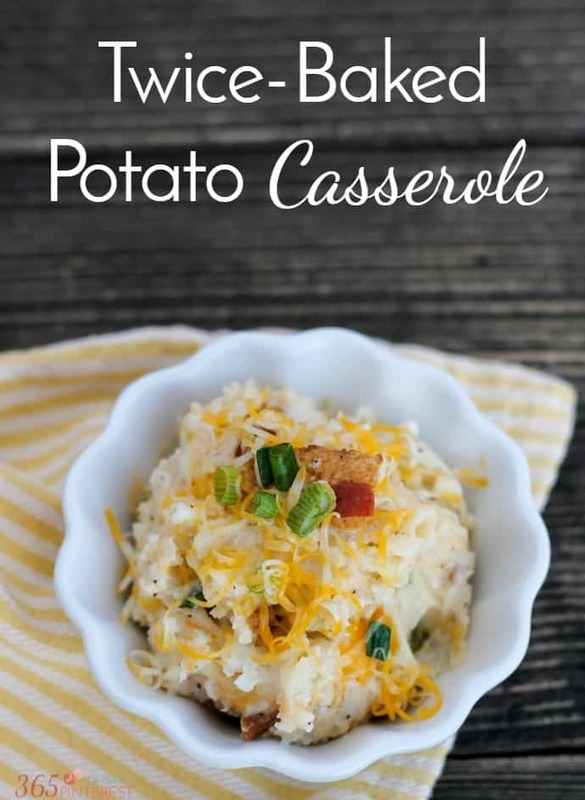 Looking for a side dish to go along with your Crockpot Express Ham? Try one of these this Easter!